Greater Lyon can help you make your multimedia projects become reality thanks to the many specialists and service providers in the IT sector. With world-renowned firms, the Lyon region has all the high-level skills you need to develop your cross-media projects. Find your new partners in the directory of image firms in Rhône-Alpes! he competitiveness cluster for moving images (video games, serious games, cinema, audiovisual, animation and multimedia, cross & trans-medias, interactive web), Imaginove represents 200 firms in Rhône-Alpes. Its mission is to develop synergies among the different players and to support innovation. Within 5 years, it hopes to become the benchmark in Europe for producing and distributing multimedia content. Join the movement and take advantage of attractive real estate opportunities! 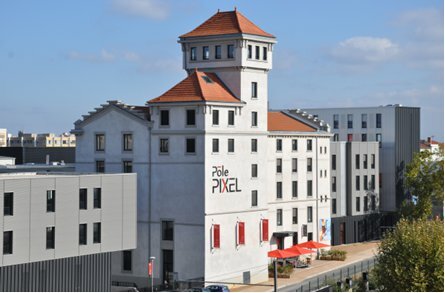 Pôle Pixel is an HD audiovisual production center on 13,000 square meters, grouped around Studio 24 where, among other productions, the highly successful TV series Kaamelott, by Alexandre Astier, is filmed. With the plug & play office space of Pixel Entreprises, you can start your business in just minutes. The Digital cluster of Vaise is home to 150 firms specialized in ICT and digital entertainment, including such big names as Namco Bandaï, Electronic Arts, Médiastay, Cegid and Orange. 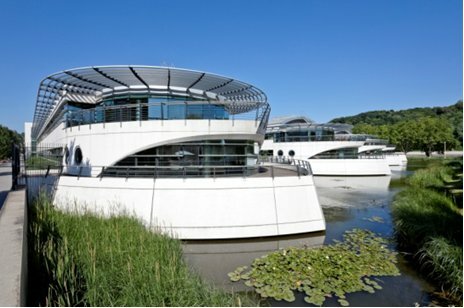 With nearly 20 hectares of space in a fast-moving business district, well served by road, rail and public transport, Lyon-Vaise offers IT companies an exceptional environment to do business. The Rhône-Alpes region has no less than 28 specialized schools, including Emile Cohl, Gamagora, School of Fine Arts, Centre Factory, Gobelins (Annecy) and La Poudrière (Valence). Every year, more than 1000 students graduate in the field of image technologies, adding to the expertise already available in the Lyon area. Dowload the brochure of aid offered by the Rhône-Alpes Region for cinema, audiovisual and cross-media.